Mulder’s Auto Machine also utilizes a Sunnen CK-10 Clyinder Hone. 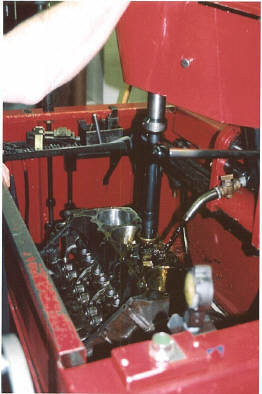 In this image a precision hone on a Chrysler big block is being performed. 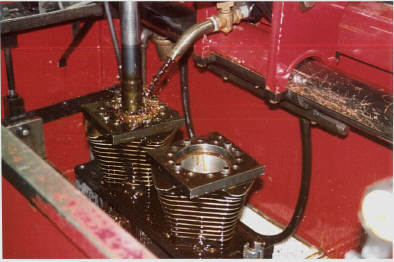 Another feature of the CK-10 is the ability to precision hone Harley-Davidson cylinders. After boring the cylinders, they are placed in a special honing fixture. 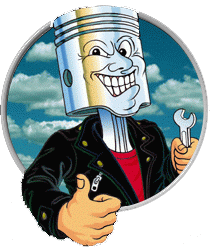 They are then honed to the exact specified size, giving pistons proper clearance. This is critical in your Harley Davidson air cooled motor. We can bore and hone whatever you ride, Old Iron, Evo, and S&S motors.